Where can you see a 15-foot waterfall, 400 plants and 80 kinds of birds? Mac the Military Macaw. Photo by Miranda Costa. 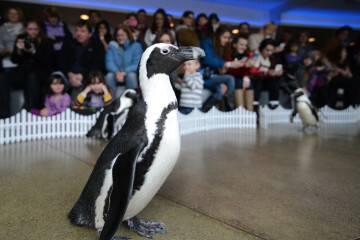 It’s certainly felt tropical in Pittsburgh with the record rainfall, but now you can experience the sights and sounds of environs much closer to the equator at the National Aviary. 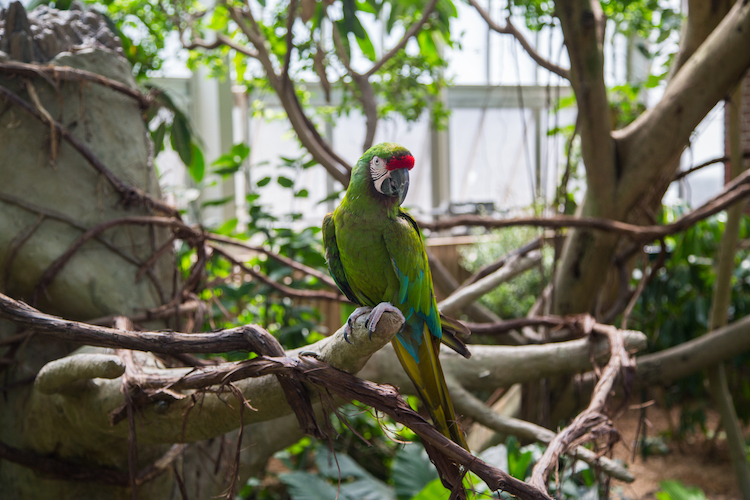 After opening with a ribbon-cutting event, the newly renovated Tropical Rainforest is now open to the public as part of the Aviary’s permanent exhibitions. Underneath a 19,600-square-foot, avian-friendly glass dome, you’ll encounter a 15-foot waterfall, 400 plants and 80-plus birds playing and bathing. 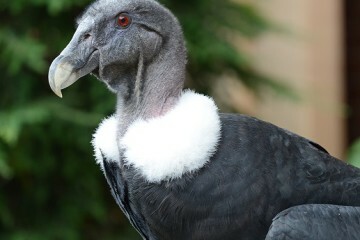 Don’t miss the extinct-in-the wild Guam Rails, endangered Palm Cockatoos, Southern Bald Ibis, Laughing Thrushes and many more. As part of a $1.2 million project, the lush habitat boasts tropical cacao and coffee trees, custom-made perches, conservation features and energy-saving improvements.